They are solid, practical and extremely determinant; they graze happily, but once bothered they will charge; they are Taureans. Often the people under bull sun sign are misinterpreted as arrogant and unpredictable. Well, you can blame to the sign of bull. However, they are very loyal, dependable and reliable. So, if you have a Taurean friend or spouse you must say you are lucky! The problem comes only when their anger is aroused. Also, it is impossible to drive them, though if they trust someone, they will willingly follow the one. However, controlling their temperament and earning their trust is not a rocket science. 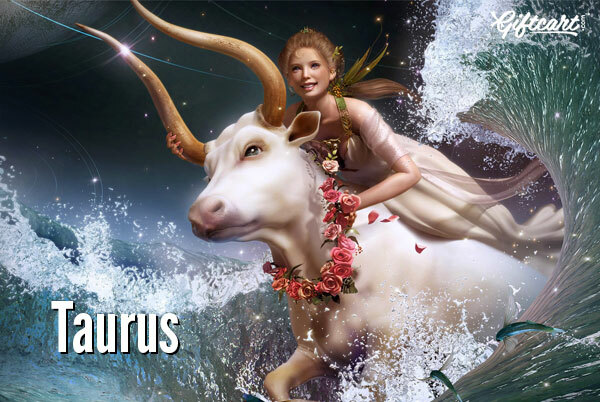 If you are planning to buy gifts for Taurus men, it is a time to get an overview of their likes and preferances. No matter whether a Taurean is your friend, spouse or a family member, a perfect choice will definitely make them happy. Gifting a pendant with Taurus sign is an all-time a suitable option. It can be of a gold, diamond, or of any metal or stone, but make sure anything you choose is expensive and precious. Why it has to be precious? Well, people under this sun sign love luxury and love to lead a lavish life with all the possible expensive things, hence only precious metal and stones; no compromise if you really want to win his/her heart. Allied to their taste the best gifts for Taurus women are pleasure, comfort, luxury and good food. Consider comfortable blanket, a richly coloured aquarium, flowers, stereos sets, kitchen accessory, gadgets, etc., anything that defines opulence. Taureans are typically very social. They love to talk and share their deep feeling, but only with close people. Give them a mobile phone, so that they dig their feeling with their closest pal (possibly you). These day’s mobile phones are coming with many high end features, especially features that connect user with social networking sites and applications. Samsun, HTC, Apple iPhone and Nokia Lumia are few of the brands that have introduced phones with large screen to make web access easier. Mobile accessories like Bluetooth can be also a good option. At time, these people typically go through the phases of being extremely extroverted, followed by waves of being introverted and philosophical. This is a stage when they want to say a lot of things, but get curbed by the intense emotions. Diaries can be a good choice to calm down their disturbed tranquillity of their mind, as they can pen down all their emotions. Discipline is something Taureans love to bring in their life. Buy a good set of watch/clock with alarm features. It can be wrist watch or table clock, but make sure it has alarm in it, so that they thank every time when he or she wakes up on time. The sign may not really look like to be, but the Taurus people are law-abiding and lovers of peace. This is the reason why Buddha painting, Buddha show pieces, light colour bed sheet or cushion covers can actually please them and lead them to the path of peace. Paintings, pottery, hand crafted accessories, or any art piece is a very good gifts for Taurus people also because they have a strong aesthetic taste and enjoy art. For the same reason they may also have a talent of playing musical instruments. If you are aware of their any such taste, musical instruments and CDs can be on the top of the list. They may have a strong, sometimes unconventional religious faith. Hence, you can think of gifting them a God’s or Goddess’s idol, photo, wall hanging, pendant and mantra CDs. Philosophical, religious and spiritual books like Anger by Thich Nhat Hanh, Power Of Positive Living by Norman Vincent Peale, The Holy Blood And The Holy Grail by Michael Baigent, Richard Leigh, etc. can be other appropriate options if he/she loves to read. With so many gift options now it shouldn’t be difficult for you to choose that perfect thing that will brighten his or her face with a big a smile.